The are many ways to enhance the shape and look of your eyes. In this article: we will cover 7 Eye Makeup tips that will surprise you on what you can do with a few eye brushes, eyeliners, and eyeshadows. Without further ado, here are the Eye Makeup Tips to Perfect Your look. They are as follow! Nobody would like it when the eyeshadow wears off or creases on their eyes. In other to avoid this, you should ensure you use a primer to make your very smooth first. This alone will make your eyeshadow last in a position throughout the whole day. Ladies tend to look older when they don’t apply an eyeshadow primer first before applying eyeshadow. An eyebrow that is well-defined frames the face very well and brings attention to your eyes. Bobbi brown the makeup legend recommends ladies should fill in their eyebrows with eyeshadow that matches the color of their brows first. She said she likes using short feather-like strokes to brush up the hairs and then brush towards the tail first. Ensure you follow the natural shape of the brow, Bob said this in her YouTube video. Ladies with strong brows should use gel first to set the brows as soon as you fill them in. The best aspect of eye makeup entails choosing the perfect eyeshadow that matches your natural tone. This is exactly the one that that has a color that is opposite the color of your eyes on the color wheel. Pay attention to your skin tone while choosing your eyeshadow color. Dark skin is perfect for a warm eyeshadow. The darker the skin tone, the warmer the eyeshadow should be. The trick to making your eyes look bold and big is to ensure you create depth with your shadow. To achieve this, you will have to apply a lighter-colored eyeshadow all over your eyelid. This shows an element of dimension. Then blend the lid color with crease color to portray a seamless facial look. Apply a pencil, liquid, or gel eyeliner on your top lash line. If you have light eyes, brown eyeliner will be perfect for you, while brown eyes will blend with black liner. Use the eyeliner to mark towards the lash line very close to your eyelashes. For a smokier look, apply brown or black eyeshadow onto your lower lash line combined with a small eyeshadow brush. Make ensure the top and bottom eyeliner meet at the outer corner of both eyes. Use a sparkling, light eyeshadow under the eyebrow as well as your tear duct. This will make it look like the light is bouncing off your eyes and this is very attractive. Curl your lashes firstly. Hold the curl for a few seconds, then leave it. 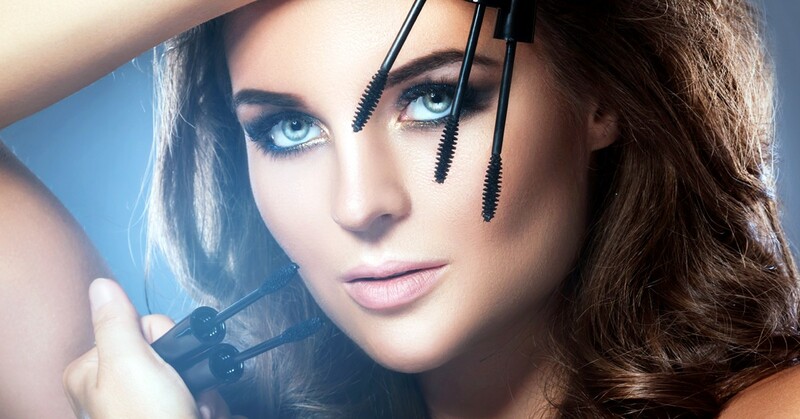 Brush up to three coats of mascara below to the tip of your top and then the bottom lashes. Layer different mascara formulas for a customized look.